Marko Babineau's strengths in marketing and promotion have made him one of the most successful, award-winning agents today. He has extensive contacts in the music and entertainment industry, which benefits clients throughout the San Fernando Valley and Westside communities. In addition, his skills in architectural design are beneficial when helping clients evaluate a home, especially when it comes to preparing a listing. "I am expert at helping clients sell their homes for the most amount of money in the shortest period of time. This includes counseling them on the most important elements to improve in order to make the property highly desirable," Babineau says. "I couple this with my extensive database of contacts and other marketing techniques. As a result, we put 65 percent of our listings into escrow within 10 days. It's efficient and highly effective." Licensed since 2002, Marko spent 28 years in the recording industry. He was general manager of Geffen Records DCG music label and has worked with legends such as Clive Davis, Herb Alpert and David Geffen while promoting superstar acts including Sting, Elton John, Cher, Don Henley, Aerosmith and Nirvana. Babineau now channels his promotional talent into representing and marketing residential homes and condominiums, providing a high level of personalized service, earning accolades as a top producer, and helping others realize their real estate dreams. 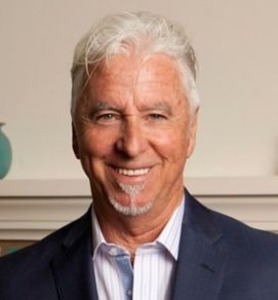 A member of the Beverly Hills Greater Los Angeles Association of Realtors (BHGLAAR), Marko is a resident of Burbank's Rancho District and an avid equestrian. In his spare time, he plays drums with "The Contenders," a Pretenders tribute band.